Male competitors pose in front of the judges during the Japan Bodybuilding Championships in Tokyo. A total of 68 female and male bodybuilders took part in the competition hosted by Japan Bodybuilding Federation. 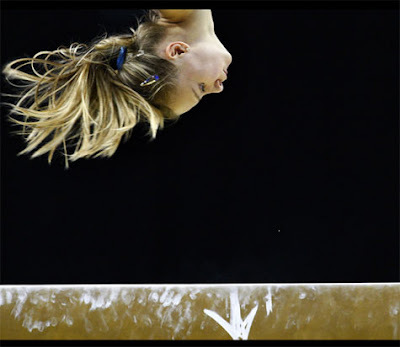 A gymnast practices her routine on the beam, a day before the start of the World Gymnastic Championships at the O2 Arena in London.